Do you wish you could raise more money with less hassle? Does this sound like you? You're super busy and working all the time but you never seem to be raising enough money. Are you spinning your wheels with special events that don't really raise money? Or maybe you're doing direct mail but your donors aren't responding. Or most of your funds come from writing grants but you know that foundation funding won't last forever. If your organization relies on special events or writing grants or direct mail to raise the bulk of its funds, you are missing opportunities for support. You probably know that major gift fundraising and asking for donations face-to-face can raise more money than events or direct mail or any other solicitation method. But you're worried that you don't have the experience (or know the "secrets") to do major gift fundraising. You really want to start a major gifts program but you don't know where to start. You don't know the steps to take to cultivate your donors and then ask them for a gift face-to-face. Truth be told, you're terrified! If only there was a way to really connect with your donors and learn about what motivates and inspires them, you know you could be raising more money for your mission! The good news? There is a way! I think you'll be excited to know about a super-focused 5-week class - Major Gifts Made Easy - that will give you the specific steps to build a major gifts program and motivate you to make time each week to develop your organization's program of in-person asking. Imagine how things will be different when you're getting the practical step-by-step advice that will catapult your fundraising to the next level. Instead of worrying about doing things "the right way" you'll have all the knowledge and confidence to have easy, comfortable conversations with your donors. You don't have to struggle with figuring out how to get a meeting with your top donors or what to say during the meeting. You'll have all the tools you need to raise more money faster to support your organization's mission faster. Imagine how wonderful it will feel to be sitting across the table from someone as they write a big check to support your organization. It sure will be nice to enjoy a steady stream of donations to support your mission! It’s not hard to get from where you are now to where you’d like to be – having an easy conversation with a donor and asking them for a major gift - you just need a little help. See the full course guide to find out! DOWNLOAD THE FULL COURSE GUIDE AND SYLLABUS! You want to raise more money for your nonprofit. 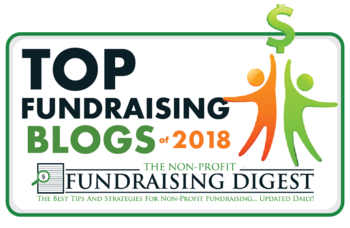 You are an executive director, a development director, or another fundraising professional excited about the results that raising major gifts will bring to your nonprofit. You would like to be a more effective fundraiser and be more confident when talking with donors. You are tired of being over-worked but not bringing in the funds you believe are possible for your mission. When you register for Major Gifts Made Easy, you'll get everything you need to successfully complete the 5-week class on major gift fundraising. The lessons will be delivered to you step-by-step so you don't get overwhelmed with too much information to start. There will also be some basic focused homework to reinforce each week's lessons. Don't worry, I won't load you up with hours of extra work! The homework will help you apply your new knowledge to your specific nonprofit and its challenges. Weekly webinars to walk you through each step to build a successful major gifts program. Webinars are held on Thursdays at 1pm Eastern. Links to recordings of webinars, so you can watch later at your convenience if you can’t make it to class (or if you want to watch again to strengthen lessons). 1 week of coaching support through a 1-hour group coaching call. Group coaching calls are limited to 5 people per call. One 30-minute one-on-one call with Kathie anytime during the 5-week class or in the 3 months following. Hands-on guides, materials and worksheets delivered before every webinar. Brief homework assignment after each webinar to apply and reinforce lessons from webinar classes. Unlimited email access to Kathie during the course to ask questions one-on-one, with response within 24 hours so you get help when you need it! Enrollment is limited to 10 students so you’ll get the personalized attention you deserve. Over a dozen targeted handouts, including sample forms, templates, worksheets and exercises. 7 Step Script for How to Make the Ask. Major Gifts Made Easy is taught by Kathie Kramer Ryan. Kathie is the founder of Arroyo Fundraising and has spent the past 15 years helping organizations world-wide raise millions of dollars through event planning, annual fund, grant writing, capital campaigns and major gift solicitations. She got her start running fundraising events and the annual fund program for a small grassroots nonprofit in Denver, Colorado. She loves sharing what she's learned over the years with fundraisers like you! Kathie is a past-president of the Association of Fundraising Professionals Colorado Chapter and serves on the Steering Committee for the Institute for Leaders in Development at the University of Denver. What does this 5-week course cost? The complete 5-week course - including all of the worksheets, guides, samples and templates - costs just $247. I’m proud and thrilled to offer this training to you for such an affordable price. Registration in the course is limited to 10 people so don't miss out! Register now to save your spot. You'll be starting the New Year off right - doing everything in your power to raise more money for your mission! I'm offering a 100% money back guarantee on this 5-week course. After the first webinar, if you aren't happy with the material, let me know and we'll refund your money. No problems, no questions, no hassle.